KCK (Kurdistan Communities Union) Executive Council Member Mustafa Karasu spoke to ANF about the AKP government’s genocidal policies, upcoming referendum and KDP President Barzani’s visit to Ankara. Recalling that Nusaybin’s Xerabê Bava remains under a siege for some 15 days, Karasu pointed out that the ongoing siege and denial of access for politicians, journalists and human rights organisations is a proof of the atrocity committed by state forces in the village. Karasu described this atrocity as a reflection of the anti-Kurdish policy pursued by the AKP-MHP alliance after June 7, 2015 elections with an aim to crush and suppress the Kurds and to break their will. 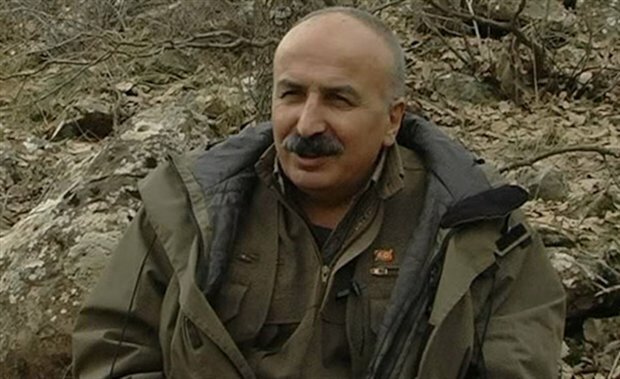 Remarking that the massacre, atrocity and torture perpetrated in Xerabê Bava was a follow-up of what was done in Nusaybin, Cizre, Şırnak and Sur before, Karasu said the aim of this cruelty was also to obstruct the rising of Kurds as Newroz and the spring approach. “99 percent of the Xerabê Bava residents voted for the HDP. It is clear that the state targets and wants to crush the people in the cities and villages that support the HDP. This is not a singular event that concerns Xerabê Bava alone. This matter concerns all the Kurds and the entire Kurdistan as it intends to break the will of all of the Kurds all together and wants to give a message of intimidation to the entire Kurdistan territory and people. In this regard, Kurds must view the cruelty in Xerabê Bava as an approach and atrocity committed against all the Kurds. The state officials’ discourses like “We are not against the Kurds but the terrorists” are all a lie and demagogy as they target all the Kurds. The same words were also uttered by Saddam Husein, or are similarly voiced by the Iranian and Syrian regimes that claim to be against certain parties among Kurds rather than all the Kurdish people. This is a common demagogy of these states. HPD received a 70 percent vote in North Kurdistan and the Turkish state is against all these people that support the HDP. Kurds must see this reality and stand against this atrocity which can only be stopped through resistance”, Karasu emphasised. Calling attention to the Turkish state’s intensified repression against the Kurds, Karasu remarked that this reality required a resistance to be mounted in every street and neighborhood rather than a mass resistance in certain areas. Barzani is often visiting Ankara and he is welcomed there. Up until yesterday, he was called a tribe leader but now he is welcomed as a leader. This also is because of the struggle given by the Kurdish people. Without struggle, the Kurds and their honour would be trampled on, and they would see no respect. The Kurds gained a worldwide reputation and respect after guerrillas went to Shengal and fought against the ISIS that attempted to occupy those lands. The ongoing attacks against the Kurds aim to leave us without honour and impose us a surrender, like what is being done in Xerabê Bava today. For this reason, the Kurdish people must definitively adopt a stance and mount resistance against the occupant Turkish state that has deployed numerous military/police forces and armored vehicles all around the cities and towns in North Kurdistan. It is true that hundreds of thousands cannot gather and come together at squares during the periods of severe repression, for which reason people should resist in every street and neighborhood. For instance, the Turkish state will not allow the celebration of the approaching Newroz. They might allow a few events in a few areas, and this would be only for show aiming to deceive the public opinion. In this case, people should celebrate Newroz in every neighborhood. The state has occupied everywhere in Kurdistan today but streets and neighborhoods belong to the Kurds. Youth and people can rise up in every street and neighborhood rather than gathering in one single area. Kurds are a folk different than the others as they have been raised in a struggle and gained a consciousness and culture of organization for 40 years, during which hundreds of thousands experienced imprisonment, pain, torture and difficulties. With the experiences of all these, they have become an organised and resisting society. For this reason, every single Kurd can get organized in every street and neighborhood. People must organise themselves and act, making every street a fortress of resistance. In such a case, this will be an uprising of hundreds of thousands. Kurds are rising up and resisting in Kurdistan and all around the world today. They cannot remain silent just because there is repression and atrocity. In this regard, we must manifest a stance against the atrocity in Xerabê Bava and against the destruction of Kurdish towns and villages. As Mehmet Tunç said, we will not kneel down. Everyone will follow in his footsteps. We are the children of such a folk. Nusaybin is the center of serhildan, it is where the uprising began. This is indeed why the state wants to crush Nusaybin and forces people to migrate from home. They are not allowing people to go out and they are killing animals. How could there ever be a curfew in a village where all the life is lived outside? The Turkish state is subjecting the Kurds to unprecedented practices and executions. The Kurdish people mustn’t forget what the Turkish state has been doing. In such a process, Barzani is paying a visit to Ankara. We will see what he will say. Remarking that the atrocity committed in Xerabê Bava is the approach of the Turkish state and the AKP government towards the Kurds, Karasu said this cruelty was only one of the thousands of reasons why Kurds will vote ‘No’ in the referendum, while there is no single reason to vote ‘Yes’.